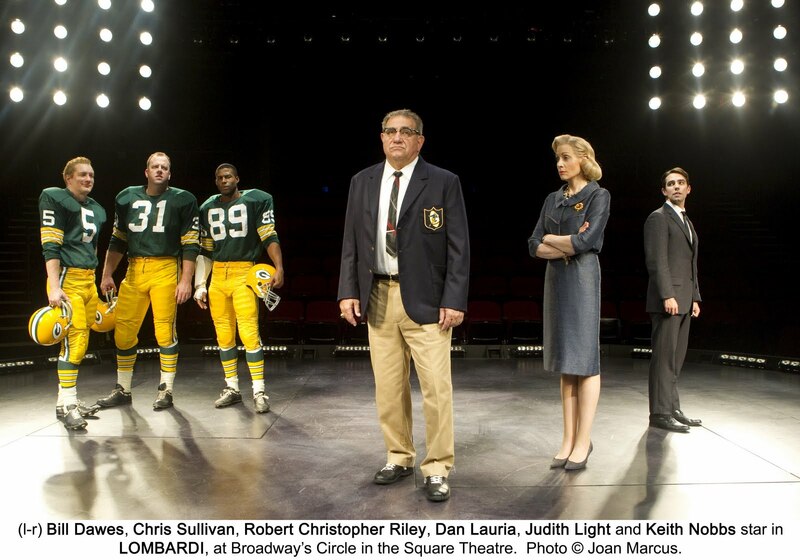 Not being much of football fan (as in “not at all”), I had little interest in this bio-drama about legendary Green Bay Packers coach Vince Lombardi, but lo and behold, I found it a most enjoyable and worthy theatrical evening, with Dan Lauria and Judith Light truly outstanding as the gruff but soft-hearted Lombardi and his long-suffering, acerbic wife Marie. 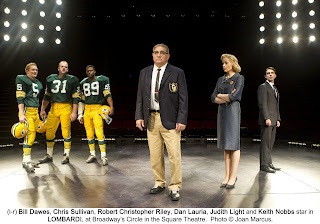 The play is set in 1965, albeit with many flashbacks, as Lombardi is about to lead the second-place team to three consecutive championships. In his interaction with three players Dave Robinson (Robert Christopher Riley), Paul Hornung (Bill Dawes), and Jim Taylor (Chris Sullivan), we get to observe his tough love methods of motivating the team. Based on the biography “When Pride Still Mattered: A Life of Vince Lombardi,” by Pulitzer Prize winning author David Maranis, playwright Eric Simonson’s conceit is to view Lombardi’s life through the eyes of a visiting “Look” reporter, Mike McCormick (Keith Nobbs) who moves in with the Lombardis for an up-close look. When Vince is elsewhere, Marie and the players give him plenty of insight into his subject. And though he comes to view Lombardi as something of father figure, Mike eventually finds himself the brunt of the latter’s volcanic temper. The lengthy scene after that blow up is the play’s only dullish stretch, coming as it does after a particularly excellent confrontation between Lombardi and Taylor, when the laconic fullback dares to ask for more equitable pay. Director Thomas Kail utilizes the long Circle in the Square playing area better than the theater’s last tenant – the otherwise commendable revival of “The Miracle Worker” – and draws solid performances from the cast, maintaining a lively pace throughout. Lauria is tremendous, radiating the charisma Lombardi must have had, and always showing the compassion not far beneath the bluster, and Light – with her Lauren Bacall-ish delivery and a cocktail nearly always in hand -- provides a tart and dynamic contrast. 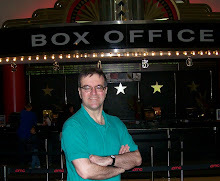 David Korins’ setting, Paul Tazewell’s costumes, Howell Binkley’s lighting scheme are all first-rate.